M Nair, B Nair. A rare presentation of Rapunzel syndrome manifesting in the immediate post-appendicectomy period. The Internet Journal of Surgery. 2007 Volume 14 Number 2. To the best of our knowledge this is the first case report in literature where an extensive trichobezoar presented as intestinal obstruction in the immediate appendicectomy period. 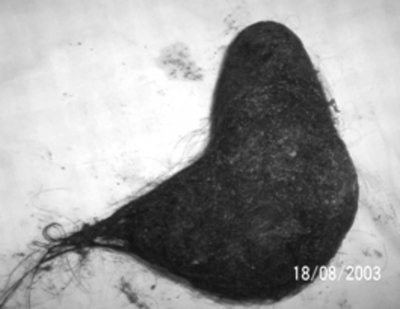 Rapunzel syndrome is a rare presentation of a trichobezoar, with 27 cases having been reported in literature so far. The cause of appendicitis in this case was due to luminal obstruction by hair concretions. If appendicitis is due to luminal obstruction by hair concretions, the patient should be investigated for the presence of a gastric or intestinal trichobezoar by endoscopy, ultrasonography or CT scan. To the best of our knowledge this is the first case report in literature where an extensive trichobezoar presented as intestinal obstruction in the immediate post-appendicectomy period. Rapunzel syndrome is a rare presentation of a trichobezoar, with 27 cases having been reported in literature so far. In this case, appendicitis was due to luminal obstruction by hair concretions. A 16-year-old, healthy girl was admitted with right lower abdominal pain, vomiting and fever of 2 days duration. On examination, she was febrile, with a pulse rate of 110/min. Abdominal examination revealed tenderness at McBurney's point with rebound tenderness and guarding at the right iliac fossa. Her investigations revealed a white cell count of 18,600/mm3 with 96% polymorphonuclear forms. Ultrasound imaging of the abdomen reported minimal free fluid in right iliac fossa. She underwent an appendicectomy through a Lanz incision. The appendix was inflamed and gangrenous. Terminal ileum and caecum were normal on inspection and palpation. On the 4th postoperative day she developed massive upper and central abdominal distension with severe vomiting. Her haematological and biochemical parameters were within normal limits. 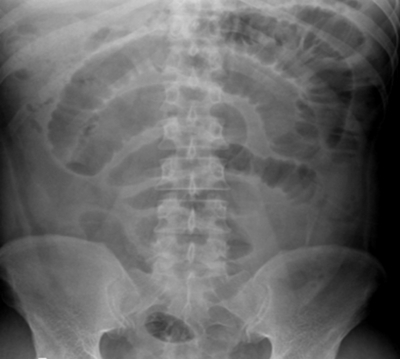 X-ray of the abdomen revealed intestinal obstruction (Fig, 1). She underwent an exploratory laparotomy. There was a firm tubular mass tightly occluding the distal jejunum. The proximal extend of this was occupying the stomach. Through an anterior gastrotomy a black hard block of trichobezoar and its tail-like extension to the jejunum were retrieved. The mass tightly occluding the distal jejunum could not be retrieved through gastrotomy. Through a separate enterotomy, the mass in the jejunum along with its tail-like extension distally to the ileum was removed (Figures 2 and 3). 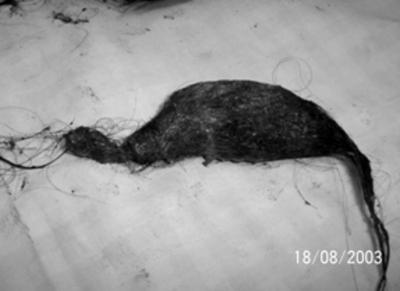 Figure 4 shows the entire hair removed from her stomach and small bowel. She made a good postoperative recovery. In our case, pre-operative ultrasound and X-ray of the abdomen did not pick up the pathology. Later she had a psychiatric assessment which revealed she was emotionally stressed at school and at exams. She is currently under psychiatric follow-up. Rapunzel Syndrome is characterised by conglomerates of ingested hair (trichobezoar) located in the stomach, with tail in the small bowel or in the right colon and by small or large bowel obstruction occurring in patients with trichotillomania. Even though this is the 28th such case report in the literature, it is the first report due to its unique presentation in the immediate postoperative period. Rapunzel Syndrome is named after the beautiful long-haired character, ‘Rapunzel’ in the fairy tale by the Brothers Grimm. It is common in children and adolescents; 90% of the patients are women . Symptoms of trichobezoars are nonspecific and may mimic those of other gastro-intestinal conditions . The patients commonly present with anorexia, nausea, vomiting, abdominal pain, mass in the epigastrium and signs of obstruction with or without non-scaring alopecia. 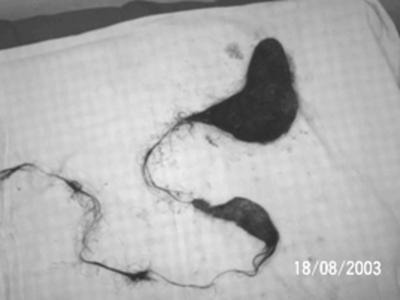 The diagnosis of trichotillomania, a psychosomatic entity in which there is an irresistible desire to pull out the hair from the scalp, eyelashes, eyebrows and other parts of the body, is made after taking a thorough history, noting the clinical features and evaluating a hair-root examination, where telogen hair is (almost) completely lacking . This condition eludes diagnosis unless sought for, particularly in the paediatric age group . Multidisciplinary involvement from the very beginning may increase the clinico-pathological diagnostic accuracy. Gastrointestinal bezoars can be diagnosed with plain X-rays, barium meal, sonography, and CT scan [5, 6]. CT is more accurate, however, and exhibits a quite characteristic bezoar image. In addition, this imaging technique is able to reveal the presence of additional gastrointestinal bezoars . It is extremely rare to find trichobezoars in the small bowel without a gastric component. Upper gastrointestinal endoscopy is an invaluable tool in the diagnosis of gastric trichobezoars. Its therapeutic role is limited as it cannot entirely remove the tail of trichobezoars from the intestine. Early diagnosis and treatment of this condition is of prime importance to avoid later fatal complications like ulceration secondary to extensive pressure, gastric bleeding, perforation, intestinal obstruction, pancreatitis and obstructive jaundice [2, 3]. The therapy of choice for Rapunzel Syndrome is bezoar extraction at laparotomy via anterior gastrotomy and multiple enterotomies . Trichotillomania in children is a habit disorder and thus has a better prognosis in most cases. However, in adults the psychopathology is usually deeper and thus entails a poor prognosis . Trichotillomania can have a biological basis as two mutant versions of the gene SLITKR1 were found to be more common in trichotillomania patients. These mutations were found to account for only a small percentage of cases. Treatment modalities vary in childhood and adult varieties. Apart from psychotherapy, the drug treatment involves several agents including selective serotonin reuptake inhibitors (SSRIs) and domipramine . Recurrence of Rapunzel Syndrome is very uncommon, and does occur only if the patients are left untreated for their underlying problem . Intensive psychiatric follow-up is mandatory for preventing relapses . Symptoms of trichobezoars are nonspecific and may mimic those of other gastro-intestinal conditions. This condition eludes diagnosis unless sought for, particularly in the paediatric age group. If appendicitis is due to luminal obstruction by hair concretions, the patient should be investigated for a presence of gastric and intestinal trichobezoar by endoscopy, ultrasonography or CT scan. In our case, the patient presented with mechanical obstruction on 4th day after appendicectomy before histology was ready. For the Rapunzel Syndrome, therapy of choice is bezoar extraction at laparotomy via anterior gastrotomy and multiple enterotomies. 1. Corona-Cruz JF, Sanchez-Lozada R, Gracida-Mancilla NI, Palomeque-Lopez A, Vega Chavaje GR. Intestinal trichobezoar as a cause of small bowel obstruction. Case report and review of the literature. Gac Med Mex. 2005 Sep-Oct;141(5):417-9. 2. Gockel I, Gaedertz C, Hain HJ, Winckelmann U, Albani M, Lorenz D. The Rapunzel syndrome: rare manifestation of a trichobezoar of the upper gastrointestinal tract. Chirurg. 2003 Aug;74(8):753-6. 3. Sehgal VN, Srivastava G. Trichotillomania +/- trichobezoar: revisited. J Eur Acad Dermatol Venereol. 2006 Sep;20(8):911-5. 4. Mathai J, Chacko J, Kumar TS, Scott JX, Agarwal I,Varkki S. Rapunzel syndrome: a diagnosis overlooked. Acta Paediatr. 2007 Jan;96(1):135-7. 5. West WM, Duncan ND. CT appearances of the Rapunzel syndrome: an unusual form of bezoar and gastrointestinal obstruction. Pediatr Radiol. 1998 May;28(5):315-6. 6. Ripolles T, Garcia-Aguayo J, Martinez MJ, Gil P. Gastrointestinal bezoars: sonographic and CT characteristics. AJR Am J Roentgenol. 2001 Jul;177(1):65-9. 7. Duncan ND, Aitken R, Venugopal S, West W, Carpenter R. The Rapunzel syndrome. Report of a case and review of the literature. West Indian Med J. 1994 Jun;43(2):63-5. 8. Memon SA, Mandhan P, Qureshi JN, Shairani AJ. Recurrent Rapunzel syndrome - a case report. Med Sci Monit. 2003 Sep;9(9):CS92-4.